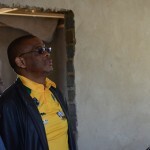 Premier Ace Magashule on Thursday officially handed over nearly 500 modern RDP houses with special features such as bathrooms, tiled roofing and ceilings were officially to their owners at Putswa Steyn section of Viljoenskroon in the Moqhaka Local Municipality. Magashule was in the area as part of his tours of projects formulated and implemented under Operation Hlasela, an intervention mechanism devised by his office in 2009 to speed up service delivery to the most vulnerable areas in the province. A further 121 houses belonging to the middle-income group of people, mostly civil servants like police officers and teachers, were also officially opened by the premier in the adjacent section of Lucas Tsheke. This is an area named after a martyred South African National Defence Force soldier who was among the soldiers killed in combat against the Seleka rebels in the Central African Republic. The mayor of the area, Justice Tsheke, said the construction and eventual handover of the houses will be followed by township-wide electrification. “We are lighting up all the areas of this township under our flagship project to change the lives of our people for the better,” he said. Tsheke added that the modern RDP houses were built to restore the dignity of the previously disadvantaged groupings of society. One happy recipient of a new house was Mantala Mokgatla, 77, who said she had to endure nine years of hard life living in an informal settlement aptly named Baipehing – which loosely translates to “Settlers”. “We had to do without running water and electricity among others,” she said. “This area is particularly hazardous during rainy seasons when our shacks are in danger of being washed away. During the construction phase of the houses 800 locals were hired for the duration of the two years of the project. 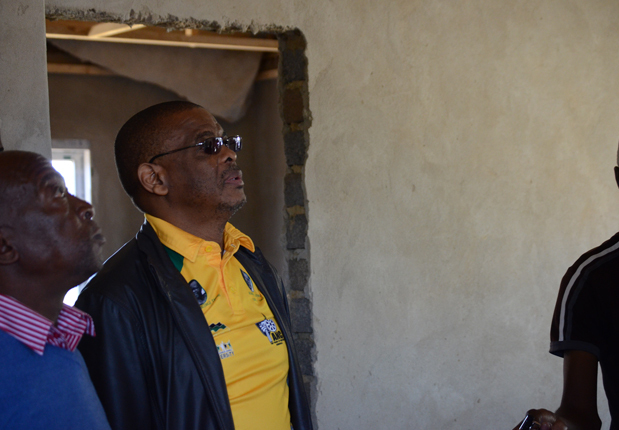 Handing over the houses, Magashule pleaded with those who still do not have a house to call their home to persevere, saying their turn is still coming. “Even if you do not have food for the day, be strong and walk tall, knowing that your turn is also coming,” he said.